In your journey to choose the right Vitamix you will come across a wide selection of models. They are available online direct from Vitamix, from Amazon, retailers, resellers, and some big box stores. Full size or Space Saving size? Vitamix Smart System or Classic? Getting clear on these four questions gets you very close to finding the Vitamix best for you. It is our hope by the end of this exhaustive model comparison review, questions will be answered, confusion cleared up, and you will be able to make an informed, confident choice. 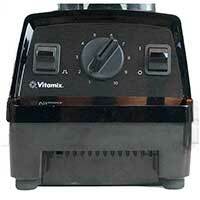 We also provide discounts and free shipping when purchasing your Vitamix » Promotion Details. If have a question not covered please ask below or contact us directly – we are at your service. As of early 2018 all current Vitamix blenders have been re-organized into one of three groups. The group to which a model belongs is no longer determined by motor and base design. Now you will find the Smart System blenders consisting of the new Ascent Series and Venturist, Classic blenders, previously the “Legacy Series” which now includes all remaining full-size models, and the Space Saving blenders, previously the “Personal Series”, which are the smaller S-Series blenders. We continue to break down the Classic Blenders into C-Series, G-Series and Explorian Series as we feel it greatly helps to understand the differences between them which can be considerable. Jump to our Vitamix Comparison Chart. 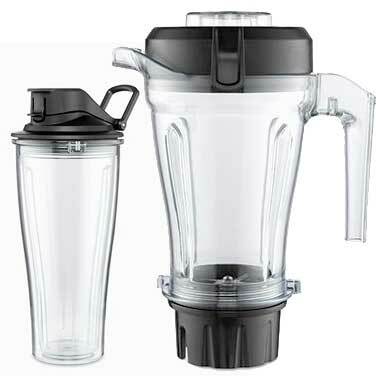 After Vitamix released the Next Generation G-Series with a shorter, wider container, a much quieter motor, improved speed control, and better program cycles what could they possibly add to improve their blenders? The answer… More Technology. See our detailed » Vitamix Ascent Series Review. For the best Price & Free Shipping we recommend » Vitamix Direct or » Sur La Tab. The Vitamix Smart System takes their blenders further into the 21st Century with the Ascent Series. This Series introduces a flat digital interface, timers, wireless connection and a “brain”. What’s it all really mean? A more modern looking blender with more technology and updated features. One thing to know if you are looking to upgrade. The Smart System Blenders are NOT compatible with all previous containers. This new release group comes with it’s own new blending containers. The most notable new feature is the Self Detect Technology. With this new technology the blender base automatically detects the particular blending container being used and makes appropriate blending adjustments. As a result a whole new series of blending containers have been created. (Classic containers and Smart System containers are not compatible with each other.) The 64 ounce containers now have a clear lid, making it easier to see down into your blends, and no longer has the soft-grip handle. Also available are 48-oz, 20-oz Blender Cup and the 8-oz Blender Cup. The Vitamix A2300 comes with the familiar variable speed and pulse control that we’ve seen with nearly all models. New to the series is the Self Detect Technology, the “brain” of the blender. This new feature allows the container to wirelessly communicate with the base to let it know which container is being used. Additionally it includes a Digital timer that simply counts up while blending with variable speed. The timer becomes somewhat more useful with the more expensive models. 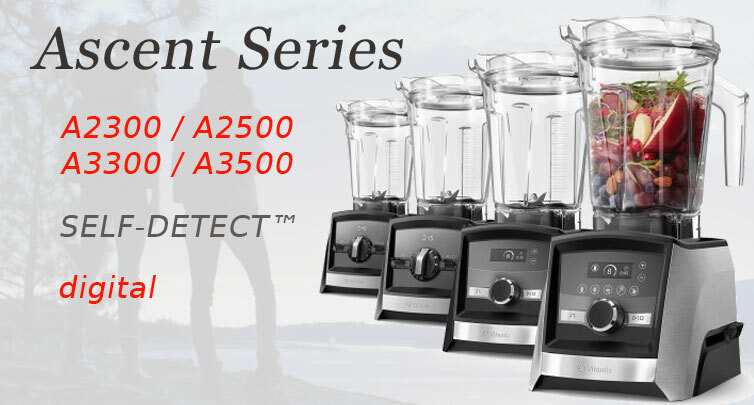 The Ascent A2500 is the identical blender as the A2300 with added three program settings. Like the Classic 500, 6300, and 6500 this includes blend setting for Smoothies, Hot Soup, and Frozen Desserts. The timer will count down with each program cycle used, displaying how much time is left for the set blend. For the same cost as the A2500, the Vitamix A3300 replaces the pre-set program cycles with a programmable timer. This allows you to set the amount of time you want to blend; it will automatically shut off when it reaches zero. Additionally, the switches are replaced with a flat touch screen buttons and comes in slightly different colors. This is a great improvement over the 780. Top of the line at this point is the Vitamix A3500. For an additional $100 you can have all the features that the Ascent Series offers. It comes complete with everything found on the A3300 and adds five program settings. Smoothies, Hot Soups, Dips & Spreads, Frozen Desserts, and Self-Cleaning. Finally, true to form, like the Pro 750, this top of the line model comes in a brushed stainless metal finish. In comparing the Vitamix A3500 vs 750, the new model provides better control and the new features as mentioned above. Also you get the new self-detect technology and the 10 year warranty, vs 7 years. All blenders ordered direct from Vitamix come with a 30-day free trial? You can try a Vitamix in your home risk free for 30 days. Purchase any Vitamix with our links to receive free shipping and if for any reason you return your purchase within the time period you will not pay for the cost to ship it back. The Venturist Series includes the Self Detect and wireless technology of the Ascent models but is built with Classic G-Series design and controls. The end result is the V1200 and V1500, older looking models with a bit of new tech thrown in (retail pricing beginning at $630). Basically they look and operate like a Vitamix 7500/750 with a digital timer. The V1200 is a part of the Smart System group and closely resembles the Ascent A2300 with features like self-detect and digital timer, but has the controls and look of a Classic blender. The V1500 adds pre-program cycles to mirror the A2500 upgrade. Personally we prefer the better designed, feature-complete Ascent Series to the Venturist hybrid models. Now available the » Reconditioned v1200. 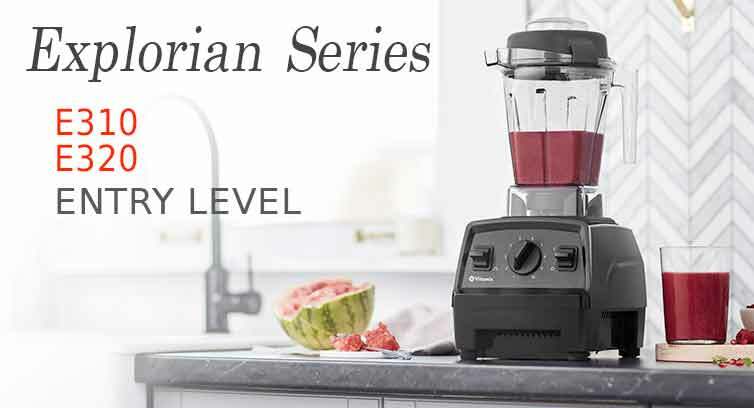 Vitamix releases a new series to try to temp shoppers at a lower price, the Explorian Series. These blenders offer the basic operations and features of the Legacy Series with a shorter warranty for a lower price. The E310 and E320 are comparable to the 5200 and closely mimic the 5300. Featuring the standard controls and classic power you can easily creates hot soup, smooth smoothies, and so much more. Introducing the first model of the series, the E310. 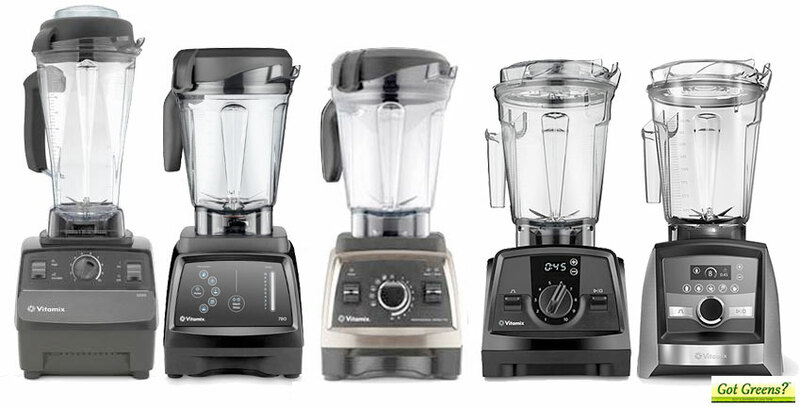 See our detailed » Vitamix Explorian Series Review. The Vitamix E310 has the familiar variable speed and pulse control that we see with the latest classic models. Ten variable speeds allows for blending precision. 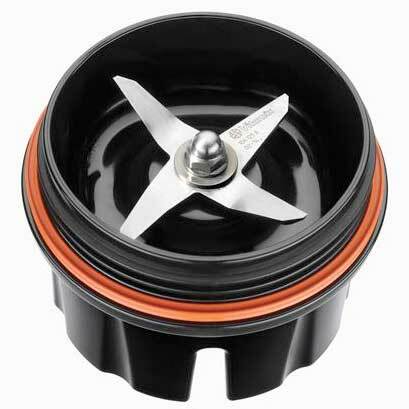 The base is a standard 2 HP motor which can handle tough ingredients and powers through most anything you put in it. The Explorian Series is released with the classic 48-oz container. This is truly one of our favorite containers offered by Vitamix. The size and efficiency is the best balance as long as you are not needing larger batches. The Vitamix E320 is essentially the same blender as the E310. The difference is that it comes with a low-profile 64-ounce blending container and an additional 2 years on the warranty (7-year vs 5-year). The E320 vs 5200 is pretty much the same with a difference in container design. The E320 is made exclusively for Costco and is available at Amazon. 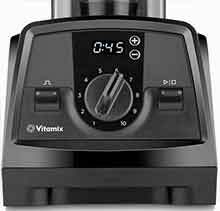 When it came time to better the 5200 Vitamix took the feedback and listened. They wanted to address the 2 most common comments… it’s too tall to store on my kitchen counter and it’s too loud. The Next Generation G-Series solved both those issues and more. Introduction of the Vitamix 7500 brought some very welcomed advancements. The G-Series comes with the low-profile 64oz blending container – same volume as before but nearly 3 1/2 inches shorter and with a wider, more efficient blade. The newly designed base is successful at reducing noise level when blending by 40% – it’s a lot quieter! Additionally, improvements include a re-engineered, stronger, more efficient motor with even more precision control with the variable speed dial. 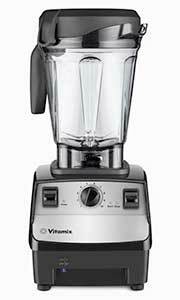 The Vitamix 300 is the identical blender as the Vitamix 7500. It was released shortly after the 7500 for retail distributors with a different model number. The Creations Elite was the first Next Generation model, originally released for QVC. While it is a bonafide G-Series, it comes standard with the compact 48oz container, not the low-profile 64-oz container. The Professional 750 (as with other models, the “professional series” part of the name does not refer to a series and has no particular meaning) takes the next generation to an even higher level by adding 5 pre-programmed blending cycles, illuminated controls, its unique recipe book, and a brushed stainless finish (in addition to black & red). The five program settings provide easy and consistent results for smoothies, frozen desserts, purées, soup, and cleaning. If pre-program blend cycles are what you want, you should consider a Blendtec, the original performance blenders with programs. 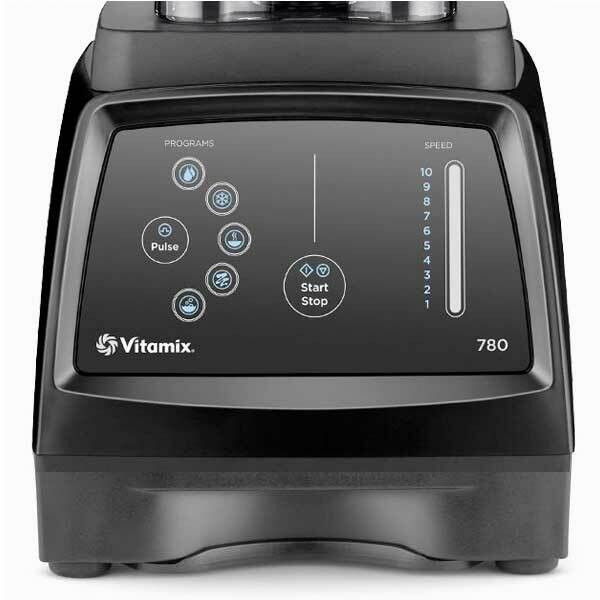 The most expensive Vitamix, for about $100 more, remains the Vitamix 780 – the top offering in the G-Series. It essentially has all the power and features of the Vitamix 750 but with a flat, glass, responsive touchscreen control panel (much like what you find on all Blendtec blenders). It has the same 5 blending programs and the pulse function and a 10-step speed control. Is it worth the additional $100 to have a flat control panel? Personally, if program cycles and the latest technology are what you are looking for, we recommend the Vitamix A3500 or perhaps the Blendtec 725, both for less. The majority of current models belong to the best selling C-Series, also referred to as Classic. These are based on the Vitamix 5200 which took high-perfomance blending to a new level when it was introduced. In this group shoppers will find the most variants, package differentiation, and re-branded options. 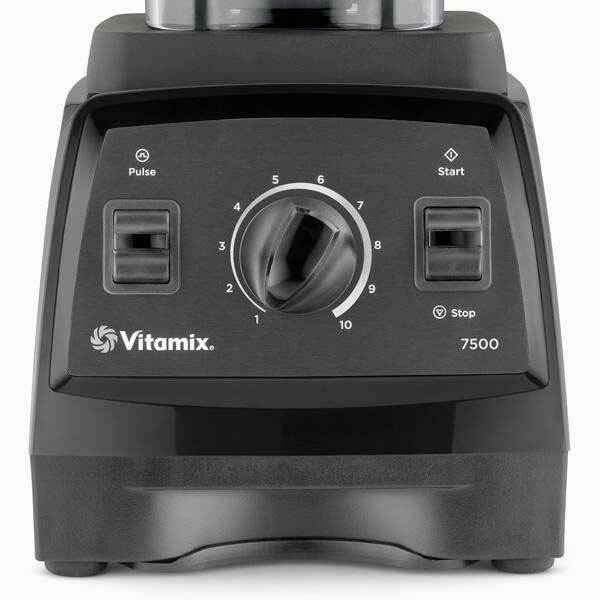 For many years the flagship blender for Vita-mix has been the 5200 and nearly all models in this series have essentially the same motor and functionality as the original. Nearly all have the Variable Speed Dial allowing careful control over blending speeds with dynamic response. In addition to the variable speed, you will find a hi/lo switch that that kicks the blender into maximum power when on ‘hi’, as well as a on/off switch. As with most every Vitamix blender, a tamper, recipe book, DVD, and getting started book are included. The standard blending container included with most models in this category is the classic 64-ounce container. URL rated to blend at the full 64-oz capacity, this is the tall, 13.4 inch BPA-Free jar that is amazingly efficient at blending but that some users find “too tall” to fit under their cabinets when leaving it on top of the blender on their kitchen counter. 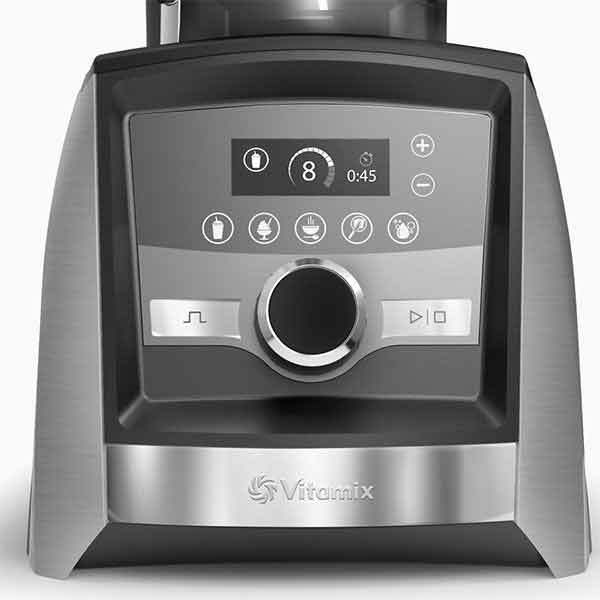 Vitamix introduced their first household brushed stainless blender with pre-programs, the Professional 500, around 2010. 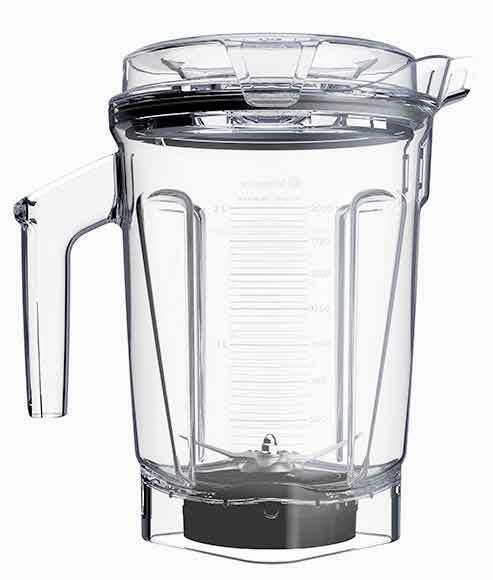 This model added the pulse switch and 3 blending programs for Smoothies, Frozen Desserts, and Hot Soups. 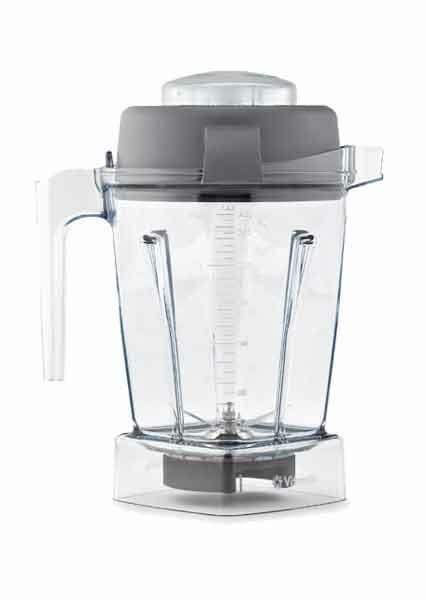 Later re-branded as the 6300 (TNC3 for Canada) this model became popular quickly as it successfully bridged the gap between Vitamix and Blendtec features. Blender aficionados were finally able to have their cake and eat it too – a Vitamix with precision variable speed control AND program cycles in one blender. Although, if pre-program blend cycles are an important feature, we highly recommend Blendtec, the original pre-program blenders. The Vitamix Creations series was created exclusively for QVC. It is not a true “series”. All Creations models, except the Elite, are C-Series Vitamix blenders based on the 5200 including the Creations II and Creations CG. These models are best purchased new from QVC as they provide the better price (sometimes they are available as Reconditioned Standard machines). This group of machines continue to create a fair amount of confusion among shoppers. For the most part you can think of them as 5200 classic models with unique accessory packages that come with a reduced warranty of 5-years, in comparison to the standard 7-year warranty. The Creations models have a 5200 motor base and are differentiated by the size container, and extras that come in the box. The biggest benefit this series brought to Vitamix was the vast increase in colors available. Quite likely the most confusing naming convention done was to call some models “Professional Series”. This includes a group of re-branded C-Series blenders with the word professional added to their name. These include the CIA Professional Series and Professional 200 both identical to the 5200. The Professional 500 is the name given to the classic series with added pre-programs. Some of the G-Series models also include the word “Professional” (750 & 300). While the name infers that these blenders are something “special” or “better” than those without the “professional” name, the blenders in this group are no different than other classic models, which they are based upon. They have the same motor, containers, and warranty. 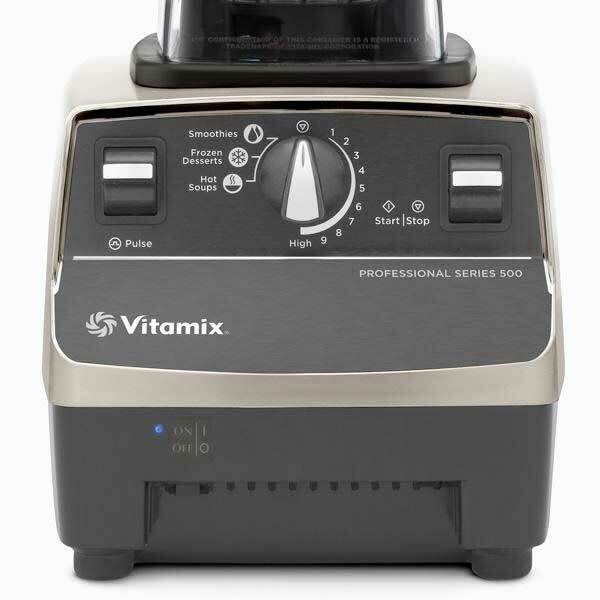 When Vita-mix blenders entered the resale market, the 5200 was re-branded to include the word “Professional” in an attempt to differentiate them from what Vitamix sold direct. These include the CIA Professional Series, the 200 and later the Vitamix 300. 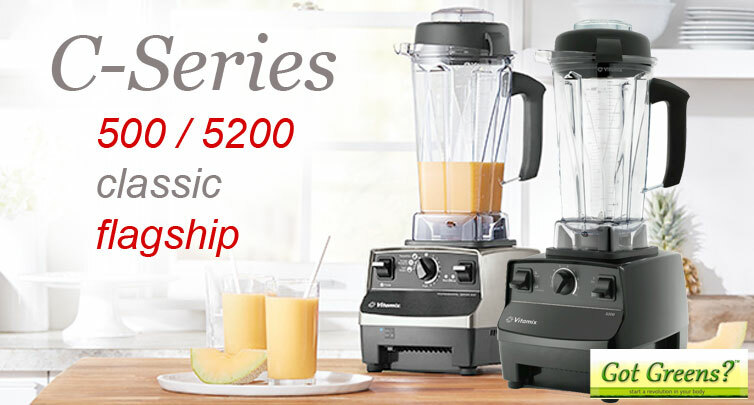 The first household model offering pre-programmed blend cycles was the C-Series Professional 500, later re-branded as the Vitamix 6300 for Costco. One-Off Models – what are they? While nearly all models are clearly a classic C-Series or upgraded G-Series, there are a few hybrids and unique configuration models that don’t sell very well but can fill a unique need. First there is the 2-Speed TurboBlend (previously known as the 4500), re-branded as Creations TurboBlend and CIA Creations. The simplest Vitamix made. Two switches – one to power on/off and the second for the High/Low 2 speed control. It’s the same blender as the 5200 but without the Variable Speed control. This model is great for those who have repeated simple blending uses. A short time ago Vitamix released a very unique model without any speed control, the Vitamix 6000. A classic series blender, the 6000 was the only home use model released containing only a pulse and set timing controls. No hi/lo and no variable speed. It simply has a pulse switch and 6 timed blending settings for 20, 30, and 60 seconds, and 1.5, 4.5, and 6.5 minutes. The 6000 has recently been discontinued. The most “different” release known is the Vitamix 5300 made exclusively for Costco and found on Amazon. 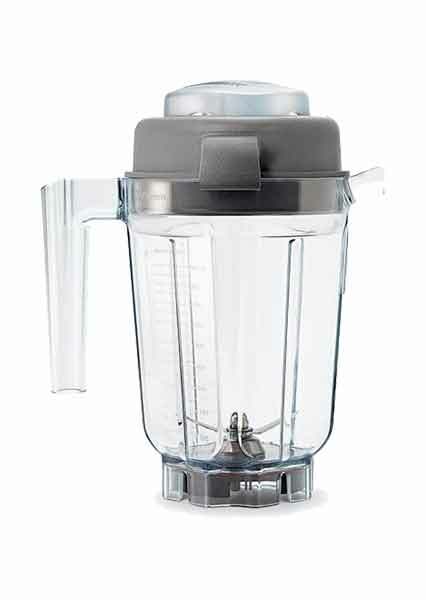 It is a classic C-Series blender yet it comes with the G-Series low-profile 64oz container. The reason this seemed so odd is that when the low-profile container was release with the 7500, it was clearly stated that it could only be used exclusively with G-Series blenders because it required the new motor and new base design. While a great blender, it is not as quiet as a Next Generation – see our » 5300 review for details. The Vitamix 6500 also made exclusively for Costco and found on Amazon is the same situation as the 5300 and includes program cycles. This model essentially is the 6300 with the newer container. 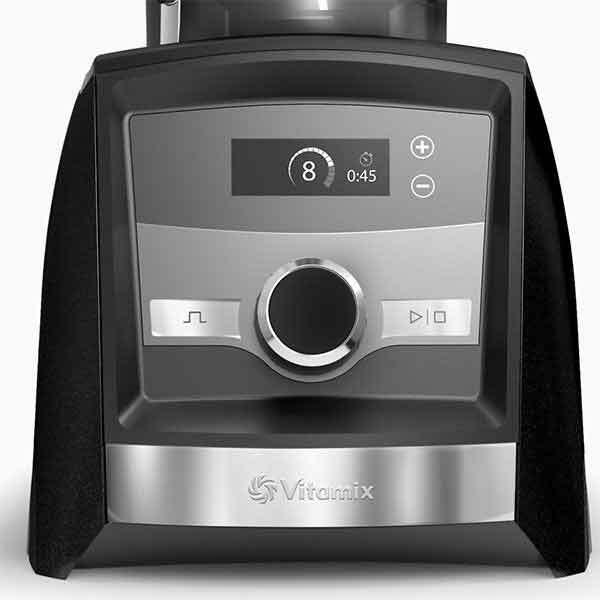 The Personal, S-Series, of the Vitamix family includes the S30, S50, and S55. This introduced a new product line developed more for small batch, personal blending. If you are wanting the power, durability, and reliability of a Vitamix but are space limited and/or use your blender mostly for making single servings, or a couple for yourself and one other person, then these smaller, more compact models are an excellent consideration. Blending volume is the limitation of this group – if you intend to be mixing up blends larger than 40oz at a time then you will want to consider the full size blenders found in the other two series. Available colors include Black, Red, and Brushed Stainless. The S-Series blenders are nearly the same. They have the same motor, base, containers, and uses. They are also the first Vitamix blender to be officially Dishwasher Safe. They come with variable speed control and pulse. With their 7 amp/790 watts motor these models are among the most powerful personal blending machines available. In addition to their single serve, 20 oz travel blending container, they also include a traditional 40 oz blending container with lid and tamper. A unique design of this series is in the blade base which allows for interchanging the portable container and traditional container before placing on the base. 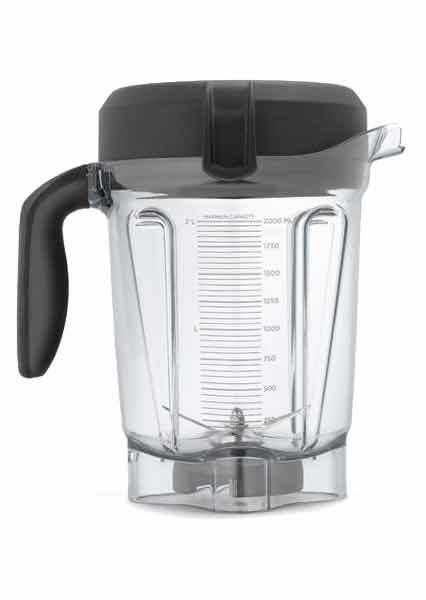 Other Vitamix blenders do not have a separate blade base from the containers. There are only a few differences between Vitamix S30, S50, and S55, color and pre-programs. The S30 comes in Black and Red without pre-programs while the Vitamix S50 comes in the same colors with 2 program cycles: Smoothie & Power Blend. The Vitamix S55 comes in brushed stainless and includes 4 pre-program settings: Smoothies, Power Blends, Dips & Spreads, and Frozen Desserts. The extra cost for the upgrade to the S50 is an added $20 and the S55 is $50. 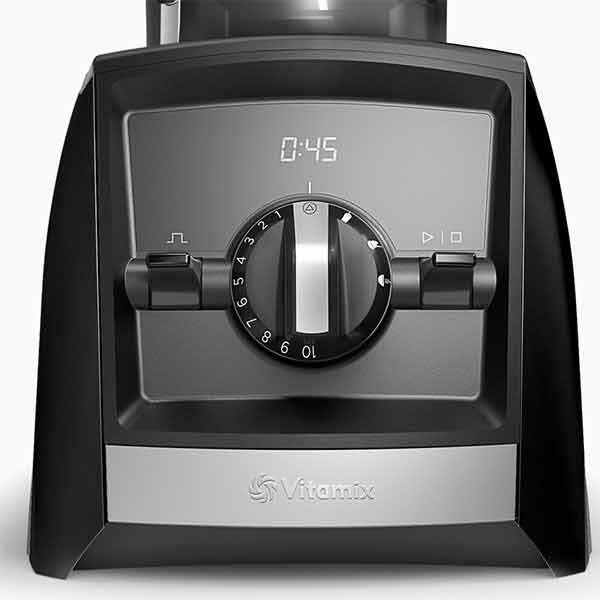 Self-Detect containers, digital display, timer Flagship standard for Vitamix. Offered with many packages. Advanced design with improved control. Quieter. Low-profile container. Smaller, lighter, more compact. Travel blending containers. Discounted Vitamix Reconditioned blenders are available direct from Vitamix and from Amazon. There is no better deal on a new or used Vitamix blender than a Reconditioned Vitamix. You can purchase with confidence knowing it comes with a 5-year warranty. Savings up to $300 is possible. Organization of reconditioned blenders makes sense and logically follows series organization once you understand it. 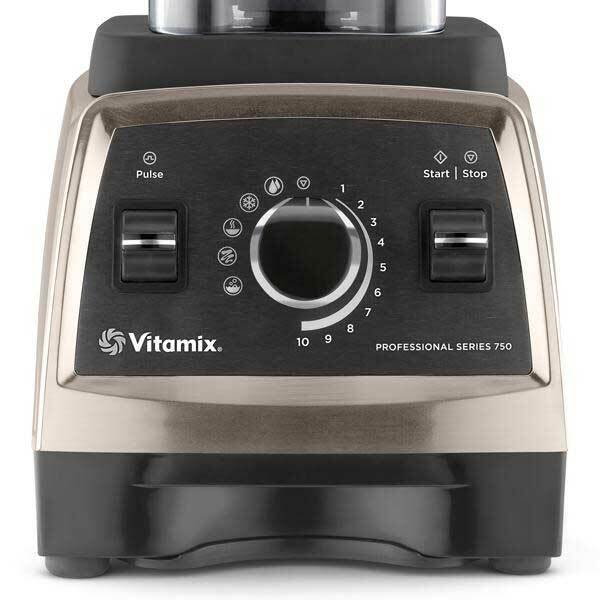 As you have learned above there are many names for essentially the same blender base, reconditioned Vitamix are organized strictly based on the base regardless of the name label printed on it. All reconditioned units come with their respective 64oz container and are organized into eight choices: Two-speed (C-Series 2-speed), Standard (C-Series variable speed), Standard Programs (C-Series with pre-programs), Next Generation (G-Series), Next Generation Programs (G-Series with pre-programs), Explorian (E320) and Ascent (A2500, A3500) and Venturist V1200. Availability of models and colors varies on a regular basis dependent upon stock. 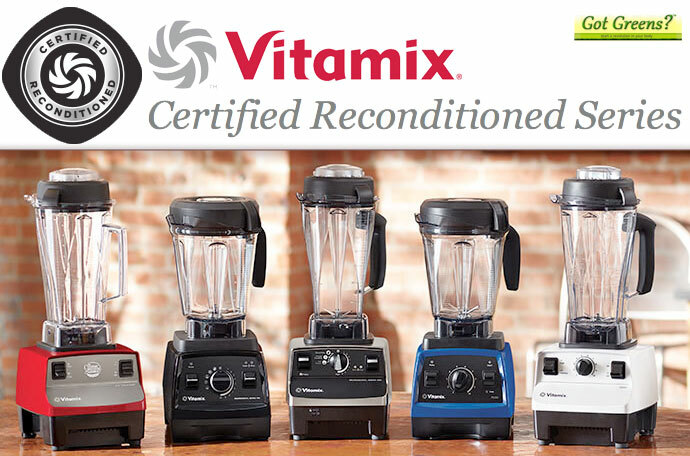 See our complete » Reconditioned Vitamix Guide. All Vitamix blender containers are BPH-Free Eastman Tritan® copolyester. The blades are made of stainless steel and are engineered for maximum blending efficiency. These are the jars that set the current industry standards. One important factor to know is that Vitamix containers are UL rated to blend at their stated volume. The new Vitamix Release is the exciting Aer Container. The Aer is an aerator 48-oz container with a disc blade designed for fine-tuning delicate smooth blends like emulsions, foams, whipped cream, mousse and more. The disc blade delivers an easy way to create new textures blends in the kitchen. Compatible with all full-size blenders both Classic and Smart System Ascent Series. This is the tall standard container included with most C-Series blenders. It includes the blade assembly with 3-inch diameter Laser-cut, hammermill and cutting blades. This jar is the best “all around” jack-of-all-trades container. It does a good job at blending smaller volumes as well as larger family-sized meals. This is also the one that tends to be too tall to fit under kitchen cabinets. The shorter version of the 64 ounce standard that the first solution to the too tall container. This is the container that is included in all of the C-Series Compact Container packages and models (and the Creations Elite). This is ideal for when you don’t need blend a full 64 ounces. It has the same bottom and blade assembly as the 64 but its shorter nature makes it easier for removing your blends. This wet blending container was developed for small batch blending. Ideal for dips ans sauces it is also great for single servings of smoothies, desserts and soups. The container that created a stir. This is a specially designed container specifically for dry blending grains and making flour. It is also great at mixing and kneading dough. The main difference is in the blade design. Unlike all the other blades designed to create a vortex to pull ingredients down into the center, the dry grains blades push ingredients up the sides to fall into the center. Think you need one of these? Find out more here. This near complete redesign of the container made great improvements over the previous 64 ounce. Introduced with the G-Series this container is over 3 inches shorter than its predecessor and fits under most kitchen cabinetry. Also, the base is wider and has a four-inch blade; the results, a much more efficient blending design also useful for chopping tasks. The drawback is that it doesn’t blend small batches very well. The traditional blending container that comes with all S-Series blenders, S-30 and S-55. A new design element of this container is that the blade assembly is separate and screws on for use. This allows for the easy cleaning and easy swapping with the 20-ounce jar. The blade base incorporates the hardened steel 3-inch diameter 4-blade system. The double walled blend and go container is a small personal size jar perfect for single serve blends. Compatible only with S-Series blenders it includes a flip-top lid for use as a drinking/serving vessel as well as a blending jar. Please share if you found our guide helpful. Such a helpful guide. I had the option to get a 7500 and ascent 2300 for same price. I opted for the 7500. I love the more classic simple look of the 7500 and glad I got it over the ascent. Thank you for your feedback Brian! We appreciate it. 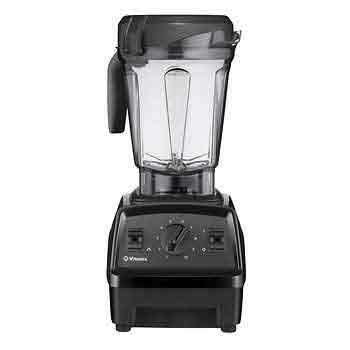 The 7500 is a fantastic blender and definitely provides a more “classic simple look” and experience over the 2300. May you have many years of healthy blending! Bonjour, Je voulais m’acheter un super blender, mais le prix me laissait songeuse. Je voulais notamment faire des veloutés de légumes, des soupes crues chaudes, des sorbets, des glaces, des compotes, des smoothies…. et remplacer tous les produits laitiers par des équivalents car je suis devenue intélorante au lactose et je souffre du syndrôme du colon irritable. Mon coeur penchait entre un Vitamix et le dernier blender kurving sous vide. On m’a offert pour NOEL, un superblender artisan automatique de Kitchenaid. Pouvez-vous me communiquer les différences entre ces produits s’il vous plaît ? Bonjour KTYM, Vitamix est le blender ultime pour accomplir toutes les tâches que vous mentionnez. Le blender Artisan KitchenAid est un blender beaucoup moins puissant (500 watts contre 1380 watts); tout en étant un blender décent, il ne fonctionne pas au niveau d’un Vitamix. Hi, I have the Vitamix Pro 300 with the low-profile 64 ounce container. I would like to buy an extra smaller container but I’m torn between the 32 oz wet container and 48 oz container. What are the main differences between the two? Does the 48 oz handle single servings, small amounts and dips and sauces not as good as the 32 oz? I will mainly prepare for 1 and for 2 persons. Your advice will be much appreciated! Corinne, the 48-oz and the 32-oz are nearly the same. The width at the bottom of each container is the same and the 32-oz is only slightly smaller in height than the 48-oz. Both do small amounts and single servings very well and pretty much the same. The main difference is that the 48-oz can blend a bit more volume. The 32-oz takes up a bit less space and can therefore could be easier to store. Personally, I would go for the 48-oz. Thank you so much for your help, I think it’s gonna be the 48-oz then. I have plenty of space in my kitchen. You are so welcome-happy to help! Be sure to use the 20% off when you order. so if you like manual controls and hate tampers is there a good choice to look at? christopher, our first smoothie blender was an Oster from a garage sale. Deciding to go with a Vitamix or Blendtec will be a great improvement to your Oster, both are excellent choices. Blendtec really shines with their pre-program cycles, which can be extremely convenient, although every model also comes with complete manual control. Our Blendtec vs Vitamix comparison goes into more detail. As far as the tamper, it is rarely needed for the Vitamix once you get used to operating it. It is mostly for thick blends and frozen desserts, both operations that you wish you had a tamper for with a Blendtec. Blendtec’s Twister Jar takes away all need for a “tamper”, but it is another Jar. One major consideration before deciding on a new blender is volume. How much volume will you blend at a time? Both the Vitamix low-profile 64-oz container and the Blendtec WildSide+ Jar are most efficient with 2+ cups. 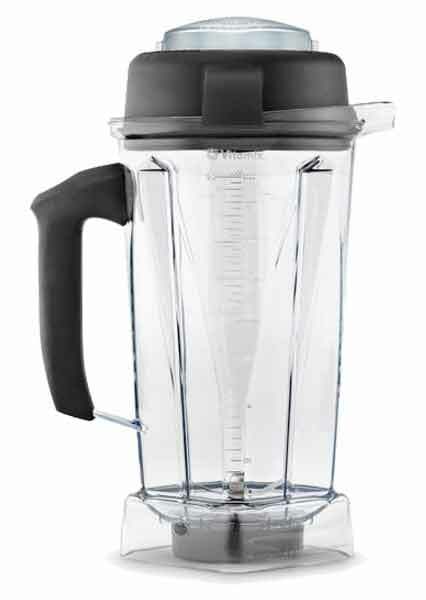 If you are more of a single serve blender then you might want to consider models with smaller/more narrow blending containers like the Blendtec FourSide and the Vitamix Classic 64-oz or 48-oz. Many are on sale now and if cost is a major factor consider Reconditioned. I hope that helps – let us know if you have any further questions. Does a 48 oz container fit well on the 7500? I may have read a long time ago that it is a bit wobbly. I have been wanting the 7500 for a long time ever since I heard that it was 40% quieter. A few years ago there was an issue with black spots seen in blends and Vitamix eventually fixed this problem, I believe, in 2016. I would like to buy the 7500 from Bed, Bath and Beyond (coupon), but there is no way to tell if the blade is 2016, which is printed somewhere on the machine because they do not have the machines in the store. Vitamix company on at least four occasions has told me that there is no difference in sound in all of their machines. I told them that I have heard many times that 7500 is quieter and they said that I did not hear that from Vitamix – confusing. I still feel that this is the quietest. I hate to have it sent in the mail from BB and Beyond and have to return it because the blade/container is before 2016. BB&B, just like QVC could not give me this information either. Yes, the 48oz container does fit the 7500. Like all containers it doesn’t fit super tight but it is not “wobbly”. When the 7500 was released Vitamix stated that it was 40% quieter. We did sound testing against the 5200 and later the 5300 and did indeed find that it was noticeably quieter but it is still a powerful high-performance blender so it does produce a lot of sound. As for the black flecks, yes that was an issue with Vitamix containers that has been addressed. Unfortunately when ordering from resellers you can’t be certain how long they’ve had them in stock. Also, I suggest you confirm that the coupon will be honored for a Vitamix at BB&B as most times Vitamix is excluded. We are a family of 3. Will mostly using Vitamix for smoothie and soups and making lentil batter. Could you advise which Vitamix will work better for us? Thank you for your comment. First, I suggest you go through our “4 main decisions” that we list above. From what you have shared, a full size Vitamix will serve you better than a Space Saving size. Next you should think more about how you will use your blender – do you prefer pre-program cycles, or not? Finally look at your budget to help with the other 2 decisions. Classic blenders tend to be less expensive than a Smart System Ascent blender and Reconditioned blenders offer great values as well, if what you want is available. I hope this helps. Please let us know if we can assist you further. Ok – looking at the space saving s30 because I want something small but I’m concerned it may be too small. What do you think? Babs, the S-series space saving blenders are great blenders for when you really need to save space, and/or for lighter weight travel. The blending volumes are significantly smaller that the full-size models. The nice thing about the full-size models is that they all have the option to use small volume containers, but the opposite is not true – you can not use larger volume containers with the space saving models. So it may be too small if you foresee wanting to make more than 40 ounces at one time. I hope this answers your question. Let us know if we can be of further service! Thank you so much Jess! We are so happy to know we have helped, that’s why we’re here. May you have many years of healthy blending with your Vitamix A3300! I am interested in the Vitamix A3500 780 or 7500 or the Blendtec Designer 725 or Professional 750 or 800. I want a top notch best bang for the buck with new and proven design and technology that will last for many years. One that even if i just want to make smoothies – that I know it will do more if I asked it to and the smoothie will be one of the best mixed every time. I am torn between Vitamix and Blendtec. 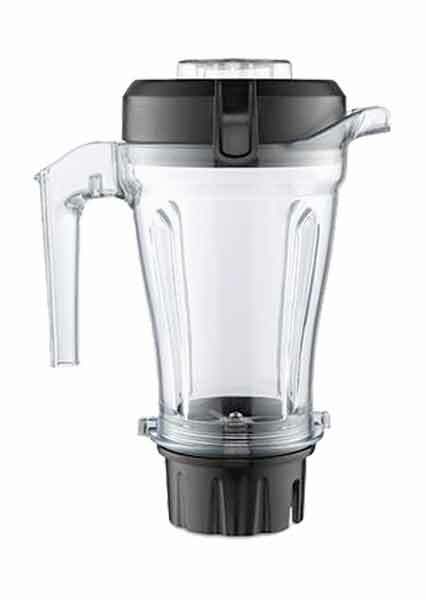 I am leaning to the A3500 on Vitamix and the Blendtec 725 or 750. Which do you recommend and or what are the biggest cons of each. I appreciate your honest opinion, thoughts and recommendation. 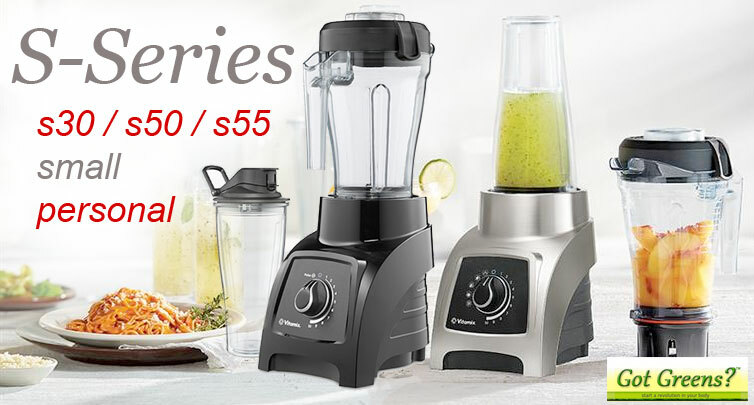 From what you have shared, you are definitely looking at the right blenders for what you want – all of the blenders you mention would be good choices. The A3500 is the best Vitamix has to offer. If it is within your budget the only con is that you can not use any previous blending containers with it (which is really only an issue if you have a Vitamix with containers and are looking to upgrade). The Blendtec 725 is also a fabulous choice and is everything that Blendtec offers. The Professional 800 stands alone from the rest because of the sound enclosure. The Professional 750 is unique in that it can be installed directly into your counter-top, this is a huge benefit *if* you want to install your blender in your counter-top, otherwise, the 725 is a better choice with additional features, especially with it being on sale right now $80 Off. From the blenders you are considering, there is no “bad” choice. My recommendation is A3500 if you prefer Vitamix. If you prefer Blendtec then I would recommend the 725 or if sound level is important and worth the extra cost, which it is to me, then the Pro 800 would be a great choice. What you say is correct and those 2 models are both the Cadillac of each brand (plus the Pro 800). A reason to choose Blendtec would be if you like automatic program blend cycles. It is our opinion that Blendtec automatic blend cycles are the best (they have been doing them the longest). If you prefer “hands on” control with knobs to turn and switches to switch then Vitamix could be the way to go. Hi, I am struggling with which of the Vitamix to buy or just to go to the Blendtec. I want to purchase via QVC easy payments. I can get the Ascent 2500 or G7500 or a Blentec 725. I want something versatile, controllable and powerful. The presets sound good but not sure how much value they add. Just confused now. Why is the 7500 more expensive than the Asecent with all its technology? I like the Blentec looks and presets… but knobs feel more fine controls. Anyway, thank you for your help and advice. Thank you for reaching out. The QVC easy payments are a real nice option but did you know that Vitamix has greatly improved their financing Payment Plans to give better options? 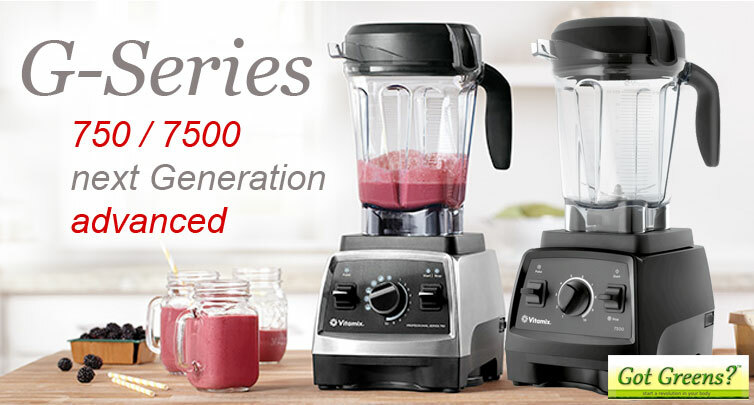 I don’t know why exactly the 7500 is priced higher than some new Ascent Series models – my guess is that Vitamix is focusing on being more competitive with their new release and have not yet adjusted pricing of the next generation models It does comes with the comfort grip container and sound dampening technology. Each of your choices offer great versatility, control, and power. Presets add a lot of value if you use your blender a lot and make the same blends. Well worth it once you get used to which program works for your recipes. The Blendtec 725 is an amazing blender. While I can understand your desire for knob control, the 100 speed slider provides excellent fine speed control. I hope this is helpful and I would be happy to provide additional input or answer other questions to help with your decision process. Just let us know. Deciding between the E310 from Vitamix and E320 from Costco. My main interest will be making smoothies and soups, although I see me venturing into learning other things to do with the blender. Will the larger 64 oz container not work if I want to make a single smoothie — do I need to opt for E310. I want what will give me the most versatility whether making a smoothie myself, and for making something for family of 3. The E310 and E320 will preform the same as they have the same motor base. We feel the larger 64oz does require a minimum of 2 cups, and for optimum results for some blends 3 cups minimum, to blend to its best efficiency. It will work for a single smoothie but depending upon the size of your “single smoothie”, you will get differing results. The 48oz container of E310 does blend 2 cups or less very well and can efficiently blend 48oz so in theory can be three 16oz servings – that’s a lot of smoothie. Keep in mind you always have the option to purchase a second container to use with either model you choose (smaller for the E320 or larger for the E310). If you see yourself needing to make more than 48 ounces more than you would make single servings then the E230 would serve better, and the other way around for the E310. You can see our Explorian E310 Review for additional information. Your decision to stick with your 750 makes sense, especially considering you have multiple containers. For more information see our Ascent Series vs G-Series comparison. Thank you for such an excellent article. I am replacing my 8 year old 5200 and I am trying to decide if I should get the E320 from Costco or order the 7500 from Vitamix to take advantage of the $100 trade in. I was wondering if you know if there is a noise difference or other significant differences between these 2 models. Thank you again! You are welcome! It is our pleasure to help. The E320 will be very similar to your 5200 but with the low-profile container. There is a difference in noise volume between the E320 and the 7500 as the E320 does not have the sound reduction technology that the 7500 has. There are no other significant differences between the two models. If sound level is really important to you than the 7500 could be the better choice. The $100 trade in really makes a difference. Let us know if we can be of further service! Both are great blenders but the A3500 is the new generation of Vitamix, the knob control takes a little getting used to but it is great! I prefer it. The digital display is a nice-to-have but isn’t a must have feature. If you use our Vitamix link you can receive an additional $20 Off of the Ascent A3500 for a price of $529. This is the most overhyped, overpriced, useless appliance since the iPhone, and obviously inspires the same cultlike devotion as Apple products. I bought this specifically to use with Dr. Fuhrman’s recipes, and almost none of them work in it in the quantities he specifies. Trying to puree lentils, make hummus, etc., most of the food winds up packed under the blades, the remainder turns to dust. Ditto for nut butters. It’s a 64-ounce carafe, and I’m told by Vitamix I need to fill it halfway to make anything work in it. Well, that’s great for a family of five, but I live alone, and I really don’t need to make a half-gallon of peanut butter at a time. This thing not only takes up acres of valuable cabinet and counter space in my small kitchen, but like most blenders it’s a royal pain to clean; I have to spend twenty minutes digging gunk out from around the blades enough to get it to clean itself with a half-gallon of water and soap. Because of this trouble, I never use it. My $7 crockpot and $80 Instant Pot get used every other day. This is going straight to Craigslist, and I can only hope I find some deluded Vitamix groupie to reimburse me for it’s ridiculous price. Brain, I’m sorry to hear you’ve had some challenges with your Vitamix. If you are using recipes with small amounts, they are better prepared in smaller Vitamix containers, such as the 48 oz or 32 oz blending containers? Also, every Vitamix sold comes with a 30-day return. If you are within the 30 days you can return it for a full refund. filipe, both models sold at Costco are equal to making frozen drinks and desserts. The difference lies in the features, not so much in how they blend. My legacy G series vitamix stopped working at all after one year so I had to exchange it and the option the store had was the ascent 3500. I am not sure about the new design of the container. It doesn’t seem like as good of a design because it doesn’t have the rubber lid and handle. The all plastic container lid seems to be harder to put on/take off and the handle doesn’t seem as comfortable/ergonomic. Do you know anything about why the contain is different on the ascent and what the benefits are the new design is? I’m also unsure about an all electronic interface. I feel like the knob/dial feature was very easy to use. Do you know about usability of the ascent controls? Thanks. I’m sorry to hear that your Vitamix stopped working. I agree with you and prefer the rubber top and ergonomic rubber grip of the legacy G Series container. Vitamix has not shared anything official regarding their change to the lid design. Our guess is that it reduced the cost of the container, reducing varied material reduces cost; the only benefit being that you can now see through the lid while blending. The new electronics and digital presentation of the Ascent Series, especially the 3500, is something new for Vitamix and it’s gonna take some getting used to. One of the long-time customer preferred features of the Vitamix was the mechanical knobs and switches which they seem to be moving away from. The usability of the Ascent controls are decent. It’s the first release so I’d expect them to improve in the future. Vitamix continues to make Legacy G-Series blenders. It sounds like you were completely satisfied with yours. If it stopped working in only a year, it is completely covered under warranty. You should contact Vitamix for warranty repair/exchange. Hi, I am trying to decide which series of the Ascent Blender models I should get. I would like to make a long-term investment. I would be blending smoothies, purees, and maybe frozen desserts at this time, but would like to move into soups and additional recipes later down the road. My current blender is awful at blending smoothies (despite using an actual smoothie program function), but I like the act of touching one button and walking away, I like the digital screen and the automatic stop. I do not know if I care about a switch or a flat button. What would you suggest? 2500 or 3500? I am confused by your chart- under “programs” you have the 2500 as ‘without programs’, and the 3300 as “with programs”; but your reviews state that the 2500 includes “blend settings for..” and the 3300 “replaces program cycles with… timer”. Could you explain? Thanks for your help! It sounds like you are making a wonderful decision to upgrade to a Vitamix. Any of the Ascent Series blenders will satisfy what you are looking for in performance. The 2500 and 3500 will both provide you with programs and an automatic stop. Between those two, the 3500 has the digital screen that you mention wanting while the 2500 does not. It also has a few more programs that you may find beneficial. Based on what you have shared, the 3500 would likely be the better choice (because of the digital screen and additional two program settings). Thank you for bringing to our attention the error in our comparison chart. The 2500 does have programs (I have updated the chart). We include the 3300 as “having programs” because we are considering timer settings as “programs” since they run a set amount of time and automatically shut off. Thank you for your feedback and great questions. Let us know if we can be of further service. Yes, you can definitely use the 750 container for all purposes including to grind grains to flour. You will need to grind about 3 cups of grain berries at a time for it to be efficient. I have never used a vitamix or made smoothies. I am very interested in eating much more nutritionally and want to make smoothies with greens, soups, etc. I am confused as to whether the pre programming on the Ascent 2500 is something I will wish I had or if I should get the 2300 or the 33oo? Being new to this, if I don’t have the preprogrammed options will I wish I did? thanks, your input and expertise is very appreciated! 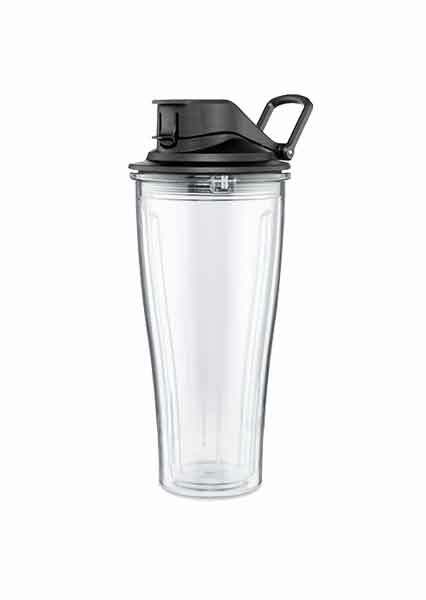 Is anyone aware if a 32 or 48 oz wet container will be released for the Ascent blender? At this time the only containers planned for release for the Ascent Series are the 20-oz Blending cup and the 8-oz Blending Bowl. I predict that at sometime in the future they will release a smaller blending container. My best guess is that it will be a 40-oz container same as what comes with their Personal Series. It has the same base design as the 20 and 8-oz Self-Detect containers and it also a good hybrid solution to the 32 and 48-oz containers. The importance of the pre-programs are strictly a personal choice. If you’ve never used them, then you won’t wish you had them if you were to choose the 2300. They can be a very nice feature if you take the time to learn how to best maximize their use. Then again it is only a matter of convenience, the programs will not create better results than not having them. Could you please compare the pro and con between the container of 750 and Ascent series? Is it true that the ascent container’s handle and lid are degraded from the previous model. The containers of the 750 and the Ascent are nearly identical, and haven’t degraded. The main difference being that the Ascent Series container has the Self-Detect technology and is compatible only with Ascent models. The other differences is the Ascent container has a clear lid and does not have the soft grip handle. We recently bought the 6500 from Costco. My husband and kids can’t stand the noise? I like to make a lot of soup which runs for a long time. Is there another model that would be better suited for us so I don’t drive my family crazy? I would like to know what you find better for everyday use; the 64 oz wide container or the tall one? Congratulations on your recent purchase. I’m sorry to hear that the noise is too much for your family. The G-Series (5200/750/780) are considerably less volume of noise. Although you should keep in mind that Vitamix, being the powerful blenders they are, are louder than your average blenders. While the Ascent series seems to have made no advance in noise reduction over the G-Series, they also are not as loud as the 6500/5300 or other C-series. For everyday use, as long as you are blending greater than 2 cups at a time, I find the shorter, more compact 64 oz better. This is due to the improvement in ease of cleaning and its increased blending efficiency. Is the Ascent 3500 as quiet as the 750 and 780 and does it do everything elso you can do with the 750 and how do they each compare to the 5200? Hello Phil, while the Ascent 3500 can do everything the legacy G-Series (750/780) and C-Series (5200) can do, there is no noticeable improvement in quietness, actually we observed that at best it’s the same depending upon blends. The 750/780 are 40% quieter than the 5200 and when we asked Vitamix specifically if the Ascent was the same or any quieter than the G-Series and if they had data, the response we received direct from them was “With every generation of Vitamix, our engineering team is working to make each machine quieter…” along with some tips to reduce the noise. I have been using the commercial grade Vita Prep 3 for home use. Is there any difference between the Vitamix blenders intended for commercial vs home use? Are the ones intended for business use more rugged , more powerful? Essentially, commercial models that are the similar to residential models have very little differences (i.e. Vita Prep 3 and 5200). Models like the Vita Prep are not more powerful, the main difference is that since the commercial use is intended for daily, regular use for many hours a day, they come with a shorter warranty. The Vita Prep 3 does draw more power than the similar 5200 because it has the cooling fan run constantly as long as the blender is running. I hope that helps. Happy Blending. I recently purchased the S55 model because I liked the pre-program setting for a smoothie. I also liked the small container for a single serving. The smoothies tasted amazing but I returned it because it made my raspberry smoothie taste gritty because it didn’t pulverize the seeds enough and that was why I wanted a better quality blender than the old one I owned. I’m considering the Ascent series but I would like your opinion if you think this will do what I want it to do- pulverize teeny seeds. Hello Nancy, thank you for your feedback on the S55! The Ascent Series is a more powerful blender than the S-Series and can do a superior job at pulverizing berry seeds. You can see some tips on our FAQ page about blending raspberries to their smoothest. Is there any reason to get the 750 over the 3500? I like the style of the 750, but the 3500 seems to have a bit more flexibility. Both the 750 and Ascent 3500 are top models in their respect group and are very similar in features. The 3500 being the newer release with the newer technology, design, and features. Generally speaking it makes sense to choose the newer over a previous model. Only reasons to consider the 750 would be factors such as lower price and preferred design. The other factor, as mentioned above, is containers. If you are upgrading from having a previous Viamix model the containers you have will not be compatible with the Ascent Series. Also, being the new release, there are *presently* limited container options available for the Ascent. I hope that helps you both with your decision. Hi, i would like to buy A3500 series, but i have a question is whether can grain flour from raw food? Yes, the A3500, as well as all current Vitamix models, can blend grains and other foods (that are capable of becoming flour) into flour. If you are going to be making a considerable amount of flour on a regular basis, we generally recommend the dry-grains container. Currently, the dry-grains container is not available for the Ascent Series, and Vitamix has not provided any information as to if/when it will be available. I am doing peanut butter at home. Which one is suitable for it? Is the reasult butter creamy? Every Vitamix is suitable for peanut butter and they are heavy duty blenders. They make amazing nut butters and as creamy as you like. Do keep in mind though that the models we review are not for commercial use. Vitamix has a separate line for commercial use. Hi, i had a very cheep blender that has virtually one speed , now i need to buy better one, that can handle raw veggies. however, i am not sure whether the preprogrammed settings or speed controls, timer are so necessary. i think i will do smothies mostly, maybe some frozen yoghurts, do i need to consider a blender with preset programs, will they make my life easier. i am inclining to buy Ascent series. do i use different speed settings for different types of food: such as soups, smoghirs. do these preset programs are also important when i want to make frozen treats vs. clean the blender. Hi I am going to buy a Vitamix soon. When you say it only has 3 settings, hot, cold and smoothie, will I be able to use beets, carrots, etc? That is my main purpose. Thank you for such a wonderful comparison. We are deciding between a C6500 (Costco version) vs the new Ascent A2500. We are attracted to both the low profile container and the 3 preset programs. While there’s about a $20 difference between the two, we’re a little unsure which one should we get. We are worried if we would get outdated soon with the C-series (from the comparison, it seems like the C-series is the oldest ). It is an expensive machine and we would like to use it for as long as possible. Any insights are appreciated. Thank you. It is our pleasure to provide the comparison information. The C-Series is not necessarily the oldest. 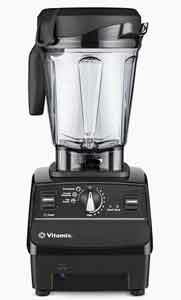 In fact, the 6500 is the newest Vitamix model released prior to the Ascent series. There shouldn’t be concern of being outdated (one the best selling models remains the 5200, released over 6 years ago). The A2500 is the newer model with the slick design and high-tech features such as digital timer and Self Detect containers, nevertheless these two models are essentially the same with the same programs. It is an expensive machine and the great thing about Costco is they will take it back for any reason, no warranty needed. Thanks for your quick response! My next question would be the motor. I notice the G series have the next generation motor with a ~40% noise reduction. Is it the same with the A2500? From your comparison of the 5300 and the 750, you mentioned that the only difference between the motors would be the noise level. I’m assuming this also applies to 6500, that is if the the A2500 has the new motor, the only difference in the motors would be the noise level? Thank you. Correct Shirley, the G-Series has the sound dampening design that the 5300 and 6500 do not (the same applies to the 6500). The design of the Ascent Series is different than both the G-Series and 5300/6500. We are still waiting for additional technical specification of the Ascent Series but what from what Vitamix has shared thus far, the Ascent has, if not the same motor, a motor very similar as its power input/output is reported as the same. As for noise level specifically, as mentioned, the Ascent has a new base design. Its release focuses on usability technology, mainly the Self Detect container and digital readouts – but no mention of sound improvement. Trying to decide between 750 and 2500. I make a daily protein shake for 2 (roughly 24-32 oz total), occasionally a single shake and looking forward to trying new recipes. Ideally I’d like to avoid having to purchase a secondary smaller container when doing single 12-16 oz shakes. Any thoughts on which of the standard 64 oz containers would work better for me? I don’t care too much about the new tech of the Ascent series. Just looking for easy to use, reliability, good results w/ what comes in the box. Thanks! Regarding power and performance the 2 are essentially the same. The blending container that comes with both are also the same except for the top; in essence there is no difference in which you purchased regarding the container as they both come with the low-profile 64-ounce. If you find the need for a smaller container, the need would be identical. I believe ultimately the ease of use, reliability, and results would be the same out of the box with either. The difference is in feature presentation. The 750 was the “top-of-the-line” model in the G-Series while the A2500 is somewhere in the middle of the Ascent Series. Functionally, the main difference between the 750 and A2500 is the program settings. The 750 has five settings (Smoothies, Hot Soups, Frozen Desserts, Purées, and Self-Cleaning) while the A2500 has only three (Smoothies, Hot Soup, and Frozen Desserts). How important additional setting are is a personal preference in how you are going to use your blender. The other difference is visual. In addition to the difference in design look, the A2500 is available in four colors (Black, Slate, White, Red) while the 750 comes in three, including 2 metallic finishes (Black, Copper, Stainless). I hope this is helpful. Please let us know if you have any further questions. MJ, honestly if you have the 7500 there is little reason to upgrade to an Ascent, especially if you have invested in additional containers since those will not work with Ascent models. The new series is an upgrade of beauty and adds new technology gadgetry, but doesn’t offer real upgrades in power, performance or use. Compare this with the great improvements that came with the Next Generation over the Classic Series (more power, improved speed control, improved container efficiency & height advantage, more quiet, and the addition of a pulse switch). Of course, if you are someone who likes getting the newest thing because it is the latest then the Ascent is very tempting and won’t disappoint. Can you help in deciding between the c 6500 and the total nutrition centre? What are the major differences? Thanks! Hello B, it sounds like you are a Canadian shopper with access to Costco. The Total Nutrition Center is an original classic C-series model. The Vitamid 6500 is a new c-series model that replaces the previous 6300 which has been updated to accommodate the newer compact container. Essentially the major differences for the additional cost of the 6500, includes programmed blend cycles and shorter container. I hope that helps, please let us know if you have any other questions! Kosha, Vitamix does not make the residential models (7500/5200) for India although you can get the Vita-Prep 3 which is equivalent to the 5200 made for commercial use. Kappi Machines is an authorized dealer in India. I wanted to buy a wider Vitamix with the options. When I filter all the models I’m between 6500 and 750. But not able to pick one. Please help. It sounds like you have done your research and are very close to choosing. The 750 and 6500 are similar in that they both have variable speed control, pulse, pre-program blend cycles, and the low-profile container, as you know. The main benefit of the 750 is that it is a New Generation Series Vitamix, which means that it is a much quieter (~40%) blender due to its sound dampening technology. It also has 5 blending programs versus only 3 with the 6500 (plus a few other minor differences like illuminated controls and a brushed stainless option). The main benefit of the 6500 is a lower cost. The 6500 is essentially the same as the 500 with an upgraded motor and compact container. In deciding between the two, I suggest you evaluate which feature is more important to you – quieter operation and more programs (750) or lower cost (6500). Although we have room under our cabinets for the taller 5200/6300, I am leaning toward the 5300/6500/7500/750 because of the wider container. I see the wider container and larger blade advantageous – especially for chopping vegetables or making a chunky pico de gallo. Is this a fair assessment? Of course, a reconditioned 6300 for $299 is hard to pass up. Yes Ed, that is a fair assessment. The wider container tends to be more efficient for chopping, as well as more efficient for larger volume blends. The only drawback to the wider container is that it is more challenging to make small volume blends but you can always opt for a second small container if that becomes a necessity for you. This is ABSOLUTELY the BEST Vitamix blender comparison! Thank you, thank you! It made the process soooooooo much easier (I had been trying to decide for almost a year). Thank you for all your time and helping me choose a Vitamix. It is our pleasure to be of service to help. Response like yours is what makes it worth our while. Enjoy your Vitamix! I know there were some reconditioned products on sale on Black Friday in the past and I wonder if they were only available for the US residents? I’m in Canada,were we or will we be a part of the deal ? Hao, reconditioned products offered by Vitamix are only available in the US at this time, we know of no plan to have them be available for Canada for Black Friday. just saw the Vitamix 780 with touchscreen, where does that fit in? Jennifer, the Vitamix 780 is their newest G-Series blender. It is essentially a 750 with a flat touchscreen interface. We will be doing a review as soon as we can. Just wondering if anyone else has experienced the loud noise & the jerking when you use it? Do I have a defected Vitamix mixer Creations II or is this normal? In general, “loud noise & jerking” should not be occurring when you use your Vitamix. Since you bought 2 years ago, your Creations II should still be under warranty. I suggest you call Vitamix customer service and explain what you are experiencing. They will help diagnose what you are experiencing and instruct you how to resolve it. I am a single person and currently only use the blender for making vegetable smoothies however I think once I learn how will make other things like frozen desserts and soups. I like the idea of quiet. Does quiet only come in the G7500? Very confused as what to buy. My kitchen is small. Currently I am trying out the Blendec from BBB but it is so loud. Need help in deciding which VM to purchase. Let us know if we can be of further assistance! Cooks Illustrated gave the 5200 a “highly recommended” review, but I can’t seem to find it in stores to purchase. Is the 7500 as good? Are either of these blenders good choices for blending raw vegetables? 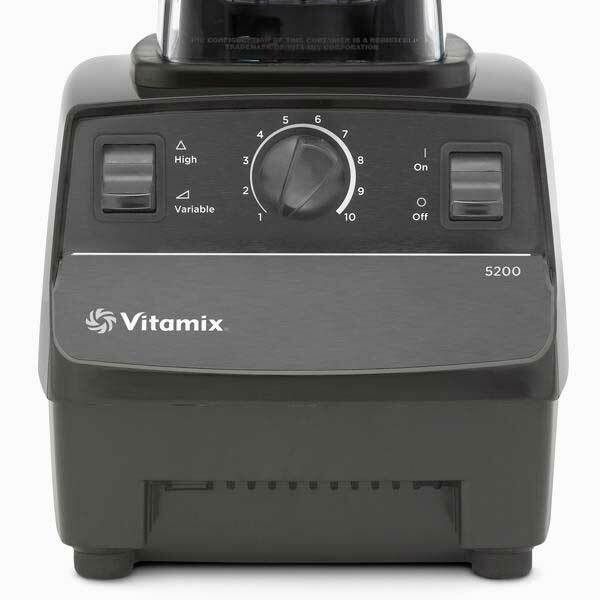 Janice, the 5200 is primarily sold directly through Vitamix. The 7500 is a newer version with an updated motor, base, and container. They are both excellent for blending raw vegetable. What is the 6500? I saw it on the website but there isn’t much info except that it has programs. Ari, the Vitamix 6500 is a brand new C-Series hybrid model in the same line of the 5300. It is essential the Professional 500 with the low-profile 64-ounce container. It has the Variable Speed control plus the same 3 pre-programmed blend cycles as the 500. Can we use 20 oz container with Vitamix 750? Santhi, no, you can not use the 20-oz container on the 750. It can only be used as a blending container with the S-series blenders (S-30, S-50, S-55). Wow this is an amazing comparison. All of my questions were answered, but one. I am convinced I want the 7500 but not sure whether or not to get a reconditioned or new. What is the difference? We are happy to know that our comparison has helped you. There are 2 major differences between new and reconditioned, price and warranty. A reconditioned blender costs less and has a 5-year warranty (a new blender warranty is 7-year). 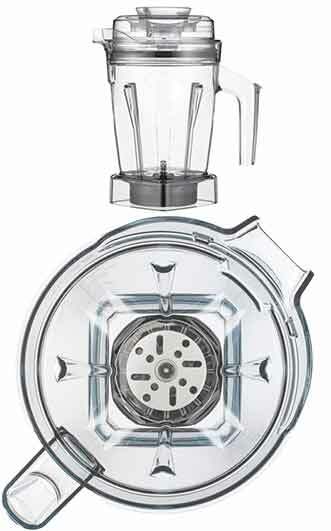 You can see additional details about Reconditioned Vitamix blenders here. I have a Vitamix, which my dad left behind, and I love it. I love making my smoothies. fruit/vegetable smoothie. Thank you. Wonderful – thank you for sharing Mary. Do you know what model he left behind?